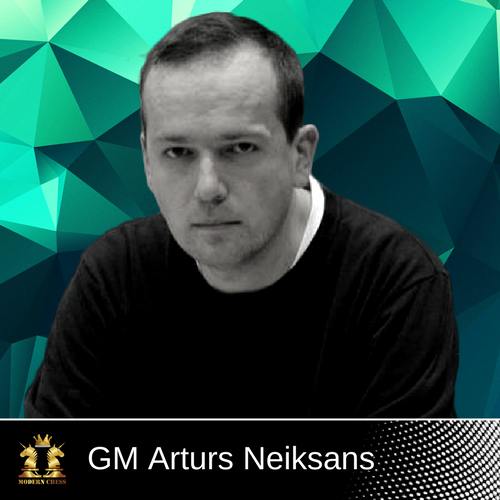 In his first database for Modern Chess, the Latvian GM Artur Neiksans deals with an extremely important theoretical challenge - he provides a complete repertoire against 1.e4 c5 2.Nf3 d6. 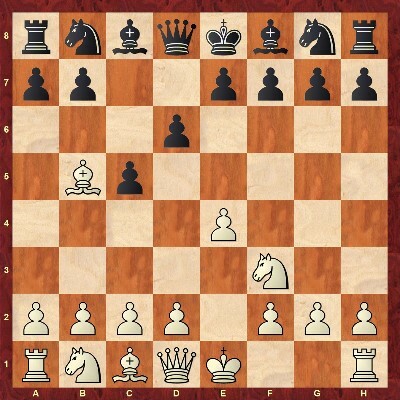 When playing 2...d6, Black can opt for dangerous Sicilian variations such as Najdorf, Dragon, Boleslavsky, and Scheveningen. These variations have caused headaches for thousands of chess players due to the huge amounts of theory to be studied. Of course, such long theoretical discussions are not everyone's cup of tea. A very logical continuation as White develops a piece with a check, which according to Chessbase database was first played in 1939 World Women Chess Championship by a chess player from Belgium Marianne Stoffels. Back then it was not a very popular choice and was played very rarely - 3.d4 was far more popular. The first contributors to the rare line were Esteban Canal, Alexey Sokolsky, and Nicolas Rossolimo and that's why the variation has been called in many names - Canal-Sokolsky attack or Rossolimo variation. For the sake to not confuse you, I suggest that we will stick to the Moscow variation title as I'll use the Rossolimo variation title in the 2nd part of the Anti-Sicilian database 2...Nc6 3.Bb5. I'm not sure from where the name comes from but I can assume that it was given because several Soviet grandmasters started to play it in early 1940's at some Soviet top-level tournaments, presumably in Moscow. Nowadays the Moscow variation is extremely popular, and one of the reasons is the current World Champion Magnus Carlsen. His approach to the chess has changed the way of thinking for many - not to strive for advantage in the opening, but get an easy play with a logical development of the pieces. Don't be mistaken though - Magnus Carlsen may play off-beat variations but he does know them really well. Right now pretty much all of the top level players who choose 1.e4 play a decent amount of the Moscow variation as well. Now Black has three possible ways to play. 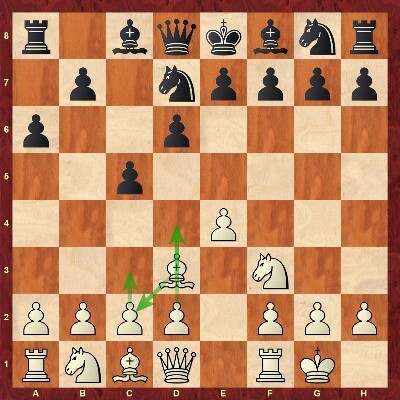 I've always believed that the main choice is between 3...Bd7 or Nd7 although also 3...Nc6 is very much playable. At a really competitive level 3...Bd7 means that Black doesn't mind to draw as many lines are really peaceful but 3...Nd7 is more aggressive and more to the spirit of a true Najdorf player and leads to an imbalanced play (if White agrees to that!). 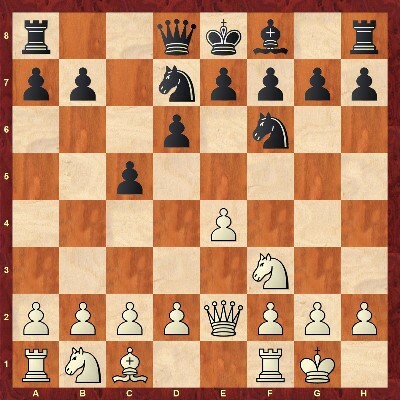 3....Nc6 is less played and also can be achieved from the Rossolimo variation 1.e4 c5 2.Nf3 Nc6 3.Bb5 d6. After this historical introduction, we shall start examining the theoretical part of the database. The whole point of Black's plan is to drive out the white bishop from b5 by playing a7-a6, and harmonically develop the pieces. As soon as the bishop from b5 is gone, Black is ready to "waste" one more tempo and reposition the bishop from d7 to g4, slowing down White's intentions to grab the center. Of course, in this chapter Neiksans deals with Black's alternatives to 4...Bd7. He examines the moves 4...Bg4, 4...a6, 4...e5, 4...Nf6, and 4...Qc7. In his annotations, the author demonstrates that none of these moves manages to equalize. After 4...Bd7, the main line goes 5.Re1 Nf6 (5...a6 is also dealt with) 6.c3 a6 7.Bf1 Bg4 (the author also examines the attempt to fight for the center by means of 7...e5). This is a very important position for the theory of the entire 3...Nc6 variation. At this point, Neiksans provides the reader with a choice. White can go for the positional 8.h3 or for the dynamic 8.d4. 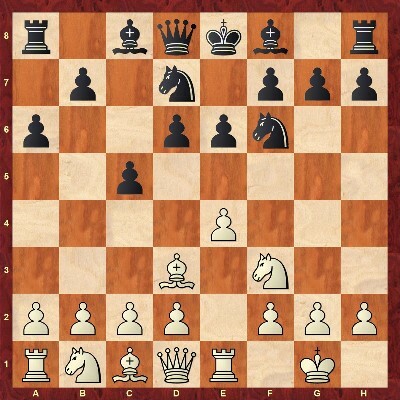 Chapter 1 deals with the move 8.h3. 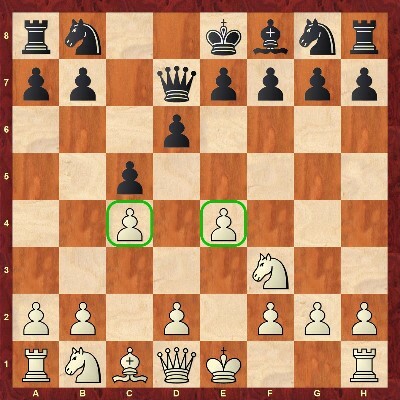 After this move, Black should probably take the knight since after 8...Bh5 9.g4 Bg6 10.d4! White develops a dangerous initiative. In this position, White mainly relies on his bishop pair which is a long-term advantage. In the future, he is planning to build a strong center by means of d2-d3 followed by Nd2, Qe2 (d1), Nf3 and d3-d4 in an appropriate moment. Even if Black plays precisely, White retains a slight edge. In this chapter, Neiksans starts dealing with White's most ambitious approach - 8.d4. White is not afraid of doubling his pawns on the f-file. His fight for an advantage is based on the strong center and the pair of bishops. A very ambitious move by Black which leads to some sharp variations (the move 9...d5 is dealt with in the next chapter). In this position, Neiksans provides the reader with a choice - he deals with the moves 10.d5 and 10.Be3 which is the main line. 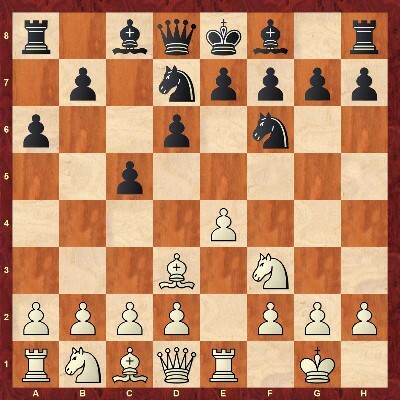 In the beginning, the author wanted to make the move 10.d5 work for White. 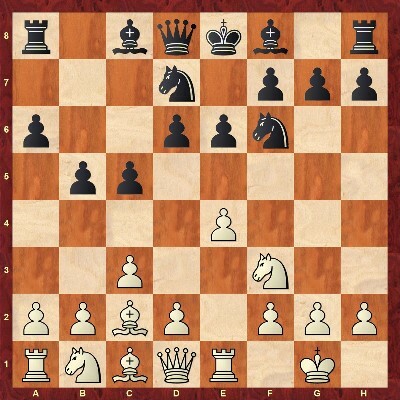 White goes for a King's Indian type of structure which is usually favorable for him since the c-file is already open. Moreover, Black is behind in the development. Now, if Black doesn't play the obvious Nd4 then White gets a serious space advantage with an easy-to-develop initiative on the queenside with typical a2-a4, Nd2-c4, and Qd1-b3. Nevertheless, a more thorough analysis proves that Black manages to get a good game if he can find several only and absolutely not obvious moves. That is the reason why the move 10.d5 is not the main line. According to the classical positional school, one should keep the tension when he enjoys a space advantage. In this position, Neiksans deals with no less than five moves for Black - 10...Be7? !, 10...Bxf3, 10...d5? !N, 10...Nxe4? ?, and 10...exd4. So far, it is not clear how Black can equalize in the arising positions. Of course, the test of the time will have the last word. This is probably the safest continuation for Black, fighting for equality. However, there are ways for White to go for really sharp lines if he wants to! In this position, Black's most ambitious continuation is 10.e5 with the idea to gain space in the center and make difficult for Black to develop his kingside. In some positions, White can even go for the e5-e6 break. 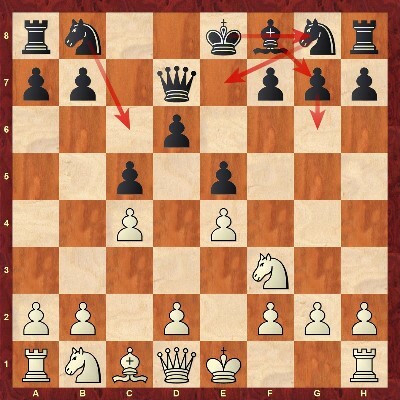 This is an extremely dangerous positional sacrifice which prevents Black from completing his kingside development. Neiksans examines all these positions in a great detail and reaches the conclusion that White has an upper hand in all the lines. 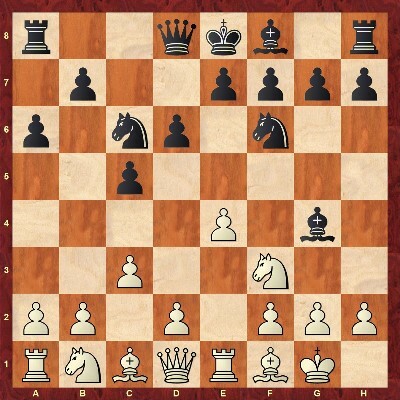 If White prefers to keep the play positional, he can opt for 10.exd5 Nxd5 11.Nc3. This line is also dealt with in a considerable depth. Usually, White enjoys a very tiny but lasting advantage. At the end of the day, it is always preferable to be able to apply different approaches to the position. In this chapter, the author covers one of the most critical lines - the so-called Maroczy Bind. White is planning to play Nc3 on the next move followed by d2-d4. After the exchange of the pawns "c" and "d" we reach the Maroczy Bind structure. the Maroczy Bind structure allows White to fight for some space advantage and also slow down the thematic breakthroughs d6-d5 or b7-b5. In such positions, Black faces great difficulties to create counterplay. Since this line is highly transpositional, Black has a variety of different moves and move orders which eventually lead to similar positions. Therefore, in this line, the knowledge of typical plans and ideas is much more important than remembering concrete variations. Basically, Black plays the moves Nf6, g6, Bg7, 0-0, and Nc6 in a different move order. A different structure arises if Black plays e7-e6 instead of g7-g6. This structure is also very well covered in Chapter 4. Sometimes, Black goes for a static center by playing the move e7-e5 which brings us to Chapter 5. 1) Don't allow too many piece trades, most importantly including the queens, unless you gain something for it. In some occasions Black can go Nd7 with an idea to double take on d4 and play either Qc5 or Qb6, forcing you to trade queens. 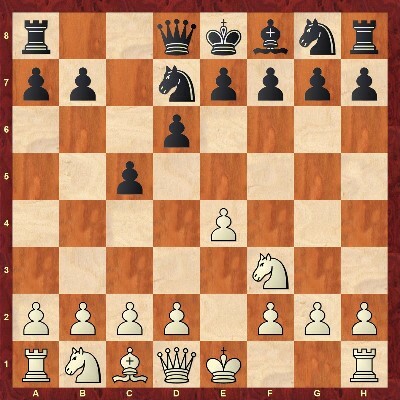 2) At the right moment, you can trade the knights on c6 yourself, forcing Black to take with the pawn. 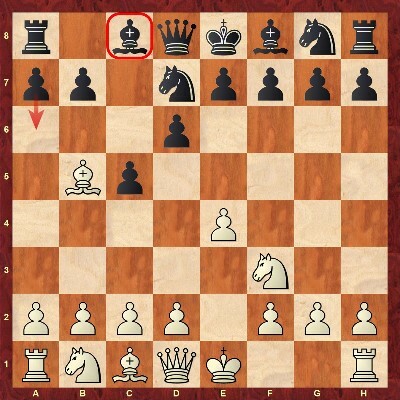 When this happens, think about typical ideas like c4-c5 or e4-e5, targeting the pawns. If Black takes on c6 with a rook or queen, a2-a4 becomes a viable option to stop the b7-b5 breakthrough for a long time, giving you a lot of time to create your own threats or at least some pressure. 3) I wouldn't suggest playing a2-a4 if Black has two knights on the board - this will give him enough counterplay by positioning one on on c6 and later maybe b4, and the other via d7 to c5, targeting your weakened b3 pawn. According to Neiksans, if Black plays very precisely, he is close to equality in this line. Nevertheless, White's play remains easier. This relatively rare continuation has decent logic - Black closes the center to avoid any "Maroczy Bind business" and plans to develop the pieces by Nc6, g7-g6, Bg7, Nge7 and 0-0. Some other ideas have been tried here as well, including the rare maneuver Be7-d8 with Nge7, or quick f7-f5-f4. 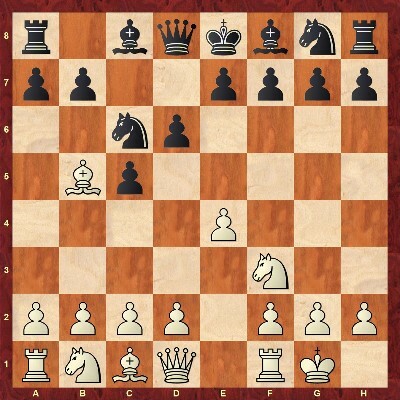 It's important to note that if Black plays perfectly there is no real advantage for White, as in most of the Anti-Sicilian lines, just slightly more pleasant positions for White to play. 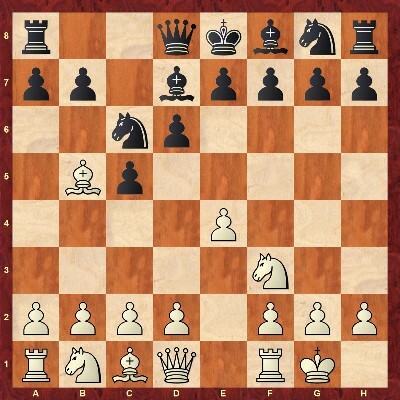 The best game plan here for White after short castling is to prepare the b2-b4 push. By doing this you want to achieve one of the two things. Armed with this strategic background, you can easily understand all the concrete theoretical stuff the Neiksans provides you with. According to his analysis, White's play always remains a bit easier in this type of positions. 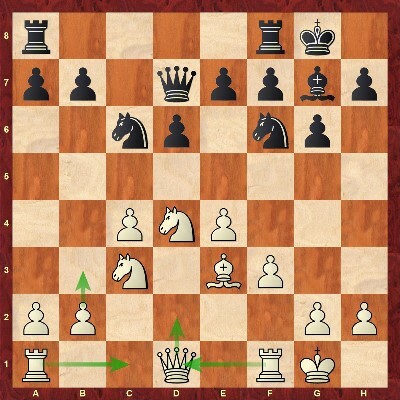 This move looks slightly illogical as the knight usually is better developed on c6. Yet Black has managed to save one tempo for the development of the queen and can organize a quick counterplay on the c-file, should it open. This is a multi-purpose move. If Black plays g7-g6, White can aim for the classical c2-c3 and d2-d4, claiming the center. If Black plays e7-e6, then Neiksans suggests to go for the Maroczy Bind structure yet again and try to break the ever solid Hedgehog structure. In this position, the author deals with no less than 5 continuations - 6...g6, 6...Rc8, 6...e5? !, 6...Qc7! ?, and 6...e6. As always, the author combines the theory with an explication of the typical plans and ideas for both sides. Despite the fact that 4...Nxd7 is a very serious move, Black is the one who should be careful if White knows what he is doing. This is Black's most aggressive move. 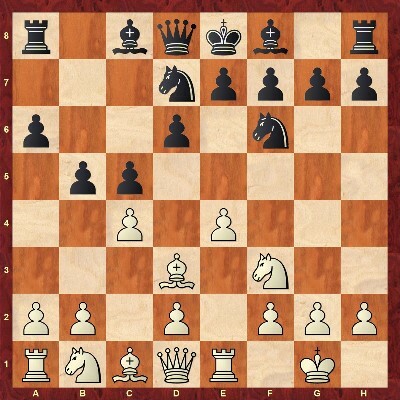 Although voluntarily closing his own light-squared bishop on c8, it is a standard, yet very ambitious defense. Black doesn't want to trade the bishops in order to keep the game more complex and possibly aim for a two bishop advantage for some possible long-term benefits. In this position, Neiksans suggests 4.0-0 as the main line. Nevertheless, he also provides two decent alternatives - the creative 4.a4!? and the old main line 4.d4. Despite the fact that these 2 moves fail to achieve an advantage, Black faces some practical problems. By playing 4.0-0, White is going for a central strategy. He is planning to follow with Re1, c2-c3, and d2-d4. Since after 5.Re1 White can meet the move a7-a6 with Bf1, Black's main move is the immediate 4...a6 (Neiksans also deals with 4...Nf6). 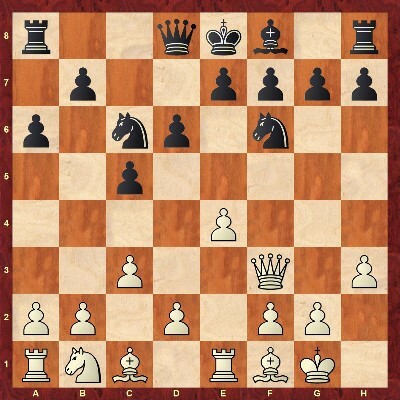 After 4...a6, White's modern approach is 5.Bd3! Very classy - that's the modern chess at it's best! If Black does nothing dramatic, White intends to go for c2-c3, Bc2, and d2-d4. This position is one of the most important crossroads in the entire variation. Black has a number of moves here. Neiksans deals with three less popular moves - 6...e5, 6...Ne5, and 6...g6. In all these lines, the author demonstrates how White can obtain an edge. This is one of the most popular responses from Black. Now according to this whole setup White has to play c2-c3 and only then Black will play b7-b5, avoiding any c2-c4 business which will be covered in the last chapter of this database. This is the latest modern theory of anti-Najdorf thus a lot of lines are still unexplored and unknown to the general public. There are very few games to take examples from, and most of them were played in 2017. White is planning to build a strong pawn center by means of d2-d4. Black has to decide whether he will continue the normal development of his forces with 8...Bb7 or he will prevent White from executing his idea by playing 8...c4. The former seems to be the most principled approach. The arising positions are fresh and complicated. Therefore, Neiksans had the chance to find some interesting new ideas which create at least practical problems for Black. This is by far Black's most popular and principled approach to the position. He immediately starts gaining space on the queenside by making use of the position of White's light-squared bishop. This position is extremely fashionable nowadays. White starts creating tension in order to make use of the fact that Black is underdeveloped. In this position, Neiksans covers 5 moves for Black - 7...g5! ?, 7...Ne5, 7...Rb8, 7...b4, and 7...bxc4. Arising positions are very unbalanced and it is difficult to play them without a solid preparation. Neiksans has put a great effort in order to make this line work for White. As a result, he managed to find fresh ideas which allow White to fight for an edge in every line. Of course, since these lines are rather fresh, the test of the time will prove decisive.